World Space Week Association (WSWA) seeks an Executive Director to help lead the largest space celebration on Earth. The Executive Director will be a contractor with a starting stipend of $1,750 US per month which may increase based on performance. A minimum of 16 hours average per week for two years is required. The position can be performed from anywhere in the world. The application deadline is August 4, 2018. Below is more information. To apply, please click here. Develop the WSWA annual plan, manage to that plan, track progress, and set priorities. Help seek donations and ensure that donors receive promised benefits. Oversee preparation of the annual poster, annual report, fact sheet, sponsor brochure, newsletters, and other communications. Communicate individually with key stakeholders. 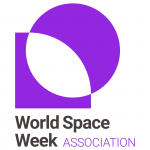 Expand World Space Week participation in the space, astronomy, and education sectors. Seek global media coverage of WSW. Report monthly to the Executive Committee, semiannually to the Board, and annually to COPUOS. Coordinate efforts of the Vice Presidents and other officers. Recruit, assign, train, manage and motivate volunteers. Manage the social media contractor. Time permitting, create and pursue ideas for special projects using the WSW platform. $1,750 USD per month. This may increase based on the financial success of the organization and other performance objectives. Depending upon resources, travel to two Board of Directors meetings per year, typically during the International Astronautical Congress and the COPUOS Scientific & Technical Subcommittee. Possibly other approved travel. The ED also receives excellent opportunities to networking with the global space community, such as via the WSWA Board, WSW national coordinators, and space organizations which participate in WSW. The term is two years, approximately September 2018 to September 2020. Start and end dates are negotiable. Approximately six months prior to the end of the contract, it can be extended if both parties agree. Please click here to apply for the position. Thank you.